Angels We Have Heard On High. Angels we have heard on high, Sweetly singing ore the plains, And the mountains in reply Echoing their joyous strains. 2 Angels we have heard on high, Sweetly singing ore the plains, And the mountains in reply Echoing their joyous strains. 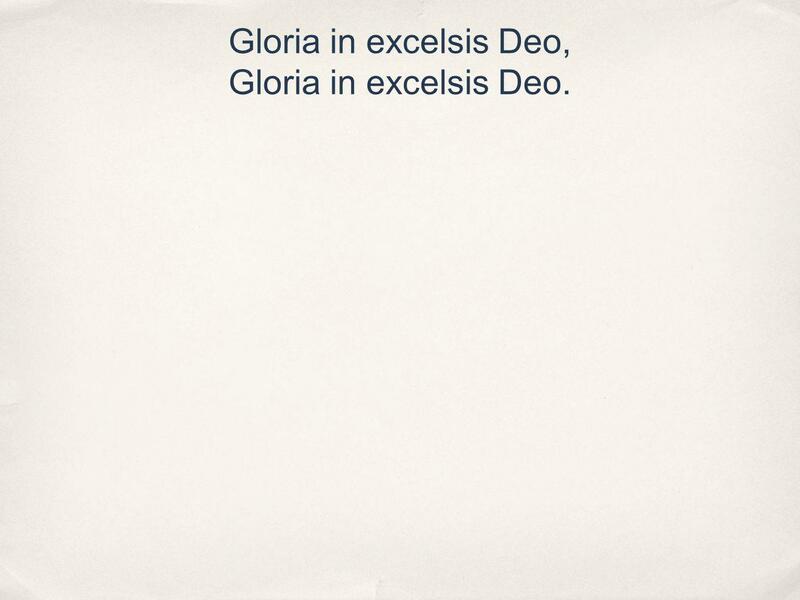 3 Gloria in excelsis Deo, Gloria in excelsis Deo. 4 Shepherds, why this jubilee? Why your joyful strains prolong? 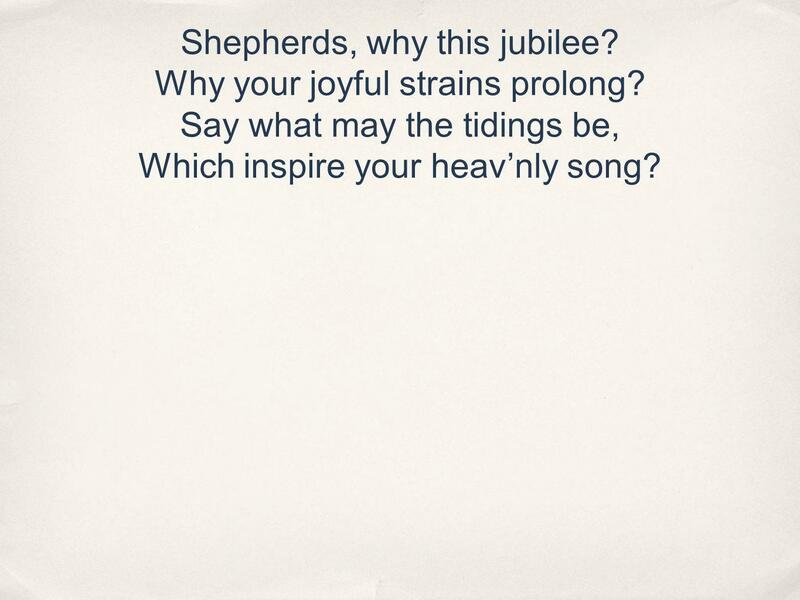 Say what may the tidings be, Which inspire your heavnly song? 5 Gloria in excelsis Deo, Gloria in excelsis Deo. 6 Come to Bethlehem, and see Him whose birth the angles sing; Come, adore on bended knee Christ the Lord, the newborn King. 7 Gloria in excelsis Deo, Gloria in excelsis Deo. 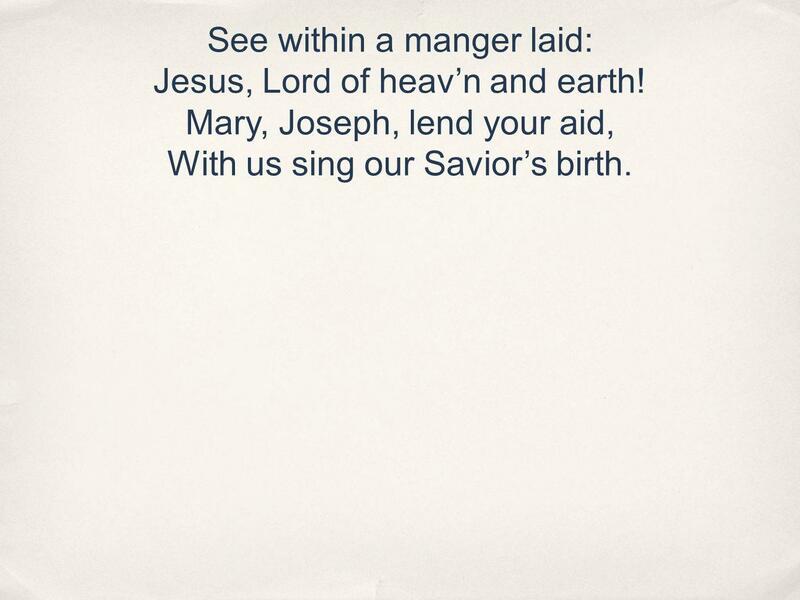 8 See within a manger laid: Jesus, Lord of heavn and earth! Mary, Joseph, lend your aid, With us sing our Saviors birth. 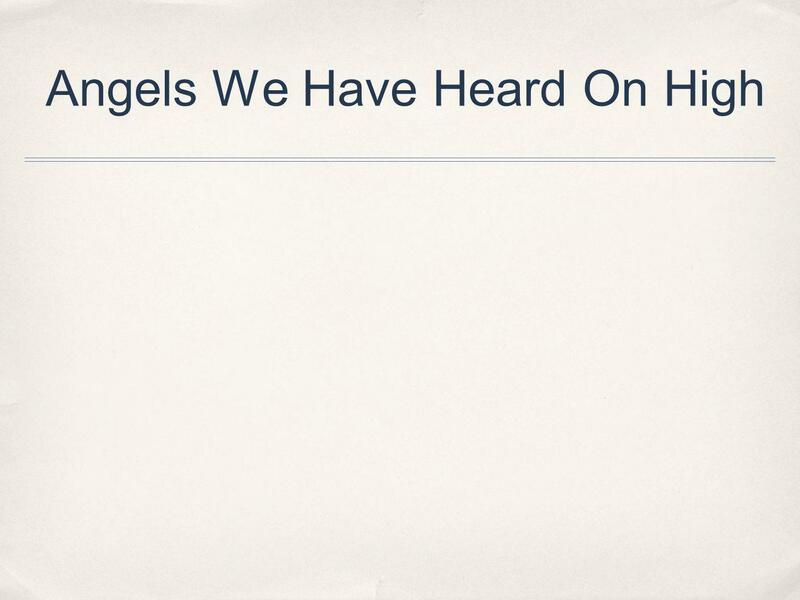 Download ppt "Angels We Have Heard On High. Angels we have heard on high, Sweetly singing ore the plains, And the mountains in reply Echoing their joyous strains." Song > Angels We Have Heard. Song > 1. Angels we have heard on high Sweetly singing o'er the plains. And the mountains in reply, Echoing their joyous. Angels We Have Heard Angels we have heard on high Sweetly singing o'er the plains And the mountains in reply Echoing their joyous strains Gloria in excelsis. Merry Christmas from Joyful Harvest Church. Out on the highways and byways of life, Many are the weary and sad; Carry the sunshine where darkness is rife, Making the sorrowing glad. NO FEAR Ba ba da ba da ba ba da Ba ba da ba da ba ba da, No fear. Harriet’s solo. Angels from the realms of glory,Angels from the realms of glory, Wing your flight o'er all the earth;Wing your flight o'er all the earth; Ye who sang. O Come All Ye Faithful O come, all ye faithful, joyful and triumphant O come, ye, o come ye to Bethlehem. 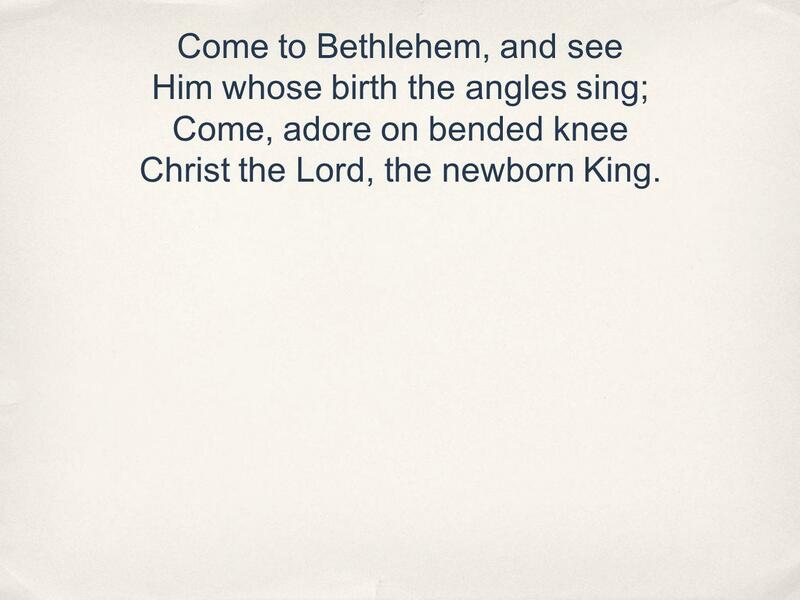 Come and behold Him Born the king of angels.